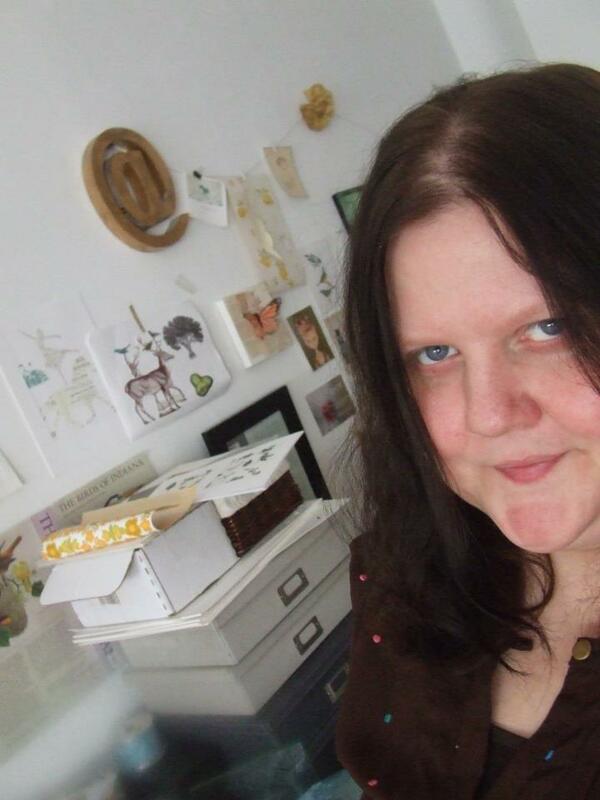 A writer and visual artist, Kristy Bowen is the author of a number of book, chapbook, and zine projects. She lives in Chicago where she runs dancing girl press & studio, devoted to paper-oriented arts and publishing work by women writers/artists. I think it was always a certain temperament I had even as a kid, an attraction to language combined with a mind prone to fantasy and imagination. This is what had me buried in books and stories from the time I could read and what made me eventually want to write them. I remember being 13 and enamored of Stephen King and Christopher Pike and deciding I needed to write a horror novel. I had about a hundred handwritten pages before I gave up, but the need didn’t go away. Consequently, as far as poetry goes, it was Poe that captured my attention and for years I could have recited “Annabelle Lee” from memory. Though there were a number of things I considered and/or planned doing with my life, it eventually always came back to that. By the time I was in college and had decided to major in English, I had discovered Sylvia Plath ( though then it was more her journals that I was interested, her life (and death) as a writer than the actual poems I would devour later). At the time, it was mostly fiction writers that held my focus– William Faulkner, the Brontes, Margaret Atwood, Marilynne Robinson. While I’d read and loved classics like Millay and Dickinson, for someone who would become a poet, I was pretty out of the loop on more contemporary poets until I got to grad school and started reading Plath again, and then Sexton. Later, Louise Gluck and Jorie Graham and Anne Carson. This was when I was really starting to write more and deciding to spend my life doing this. I had always focused most of my study and interests in the direction of female writers, but it was actually TS Eliot that sort of broke things wide open for me, the possibilities that The Wasteland offered in terms of what poetry could be. By the time I landed back in grad school for my MFA, it was mostly current and emerging writers that excited me, people like Olena Kalytiak Davis, Larissa Szporluk, Daphne Gottlieb, Mary Anne Samyn, Sabrinah Orah Mark, and CD Wright. I’ve never really had anyone I would consider a mentor, but there are people I’ve encountered, both in terms of their work and friendship, who have influenced shaped my work (either consciously or subconsciously), people like Simone Muench, Lauren Levato, and Daniela Olszewska ) And, of course, there is a lot of inspiration to be found by immersing myself in writing as an editor/curator, so many dgp authors and their work adding to the virtual soup from which my own work generates. I think my approach to crafting a piece of writing (I say writing and not poem since most of what I write lately is actually more prose-like) has changed very much from when I was starting out. I used to sit down with a subject in mind and hammer out a poem. In the last 10 years or so, and this may have to do with my forays into the visual arts (collage and book arts), it’s become much more of a fragmentary process. A stringing together of things, words, images, ideas, found text to create something entirely new. It is much more fun and interesting and much less dogged this way, and it often leads me in directions I’d never even imagined. The edges and structure are a little looser and more fractured, but I like it that way. I pretty much plan to just keep doing what I’m doing, writing things, making things. I have a list of projects I want to get to at some point, titles for unwritten manuscripts, sketches and description of art projects, books projects, things I want to do with the press. I just plan to keep moving forward. I think there has been a lot of progress, but also that there is still so much left to do (as things like VIDA statistics reveal.) As someone who is seeking to get more women and their work into the conversation of American literature, it’s both frustrating and motivating. On one hand, as a female writer and reader of women’s work, it feels limiting and unfair and ridiculous in this day and age.. But as a publisher, it feels inspiring to know that we’re fighting the good fight. I just read and fell in love with Poisonhorse by Brandi Wells. dancing girl press has also recently issued a handful of first chaps by writers that are just staring to make their way into journals and the literary world (Caylin Capra Thomas, Laura Mei Roghaar, Meghan Brinson, Sarah Cook, Sacha Siskonen.) This is, of course, in addition to a number of more established poets we publish, all of whom you should keep an eye out for.. I guess I initially used to consider myself a “poet”. Especially since my attempts at writing fiction were lacked a certain amount of endurance. I guess now, if I were to describe it, it would be more geared toward just “writer/artist” be that related to words or images or whathaveyou. 9.) “intertia,” is a poem of domesticity that revolves around cultural staples. “rabbits,” “milk,” “ribbon,” “lanternlight.” These are words that have origin. The poem reads, “The trick is distance. / The trick is diminishment.” If we change the materialism of the language, does the pathos attached to the object change the definition of domesticity? 10.) In the poem, “a little fever,” “the glass factory, the space behind the body is warm, chambered // like heart. All wires and threaded light. / My mind a railcar sideways on a track”. We are confronted by a heavy nostalgic beauty. Take the following, “Times like these, / if sliced open, you’d find a lake, a length // of copper inside us. A litany of weathered / saints sitting in the bathtub. Our legs listless, // petal heavy.” This is a linguistic tradition of intimacy. As we attempt to evolve and change in language we cannot forget these damp, “sliced openings,” of self from our parents, our minds, and our tradition. How then do you suppose we blend and acculturate these differences, while at the same time change the dissonance of a violent past? How does this happen in language? I think the setting, or even the concept of, a glass factory makes the world of the poems prone to danger, to sharpness, to fragility and destruction. The body, and you could even say like language, is this very ordered system, or a system of systems, but also one that subject to chaos and misfirings. But there is also desire, and in desire, in the physicality of the poem, in the body that exists that is almost always in peril. 11.) The active character in your poem “double tongue,” becomes divided. We read, “She’s prettier, but I’m the quick one. / There’s no telling what we can do / with our throats, this frail pipe // that joins us. Rough lungs, / cloven heart. Each night, / I practice scales. Her.” And at the end of the poem, we are left with archetype: “We prefer to be addressed as Alice.” The duplicity is at once active and passive. The split character is one of force. Can please allude to the departure from the passive towards Alice who is a transitory dynamic duplicitous female voice? I think this poem best illustrates what I was reaching for with the entire book in terms of voice. The layering of multiple voices and consciousnesses over each other. Like the siamese twins, every voice in the book speaks both separately and yet also in unison. The twins become both subject and object, which is a thread in the book, the idea of women as spectacle, as something to be viewed, to be watched, to perform. And yet, they are also subjects with their own volition and narrative voice. In general, there is also a lot of duplicity going on. Twins, sisters, hybrids (mermaids, bird girls). The intersection of what seems to be true and what is actually true. 12.) In contrast to “intertia,” “la grande ploungeuse,” is a poem with no “milk”. The opening lines begin, “It’s the drama turns me / inside out, all black // velvet and the flare / of doves. Small things // placed inside the larger / like nesting dolls.” We can still attach ourselves to the domestic through “dolls,” and “doves,” but here, the “arc of women / [fling] themselves into // the taught air.” We have action, we have dissonance; we have movement. We do not have redemption, but we have voice. How does the language change specifically in regards to logos based definition of culture? And how does this affect our ingestion as readers of the characters within this undertaking of language? This is, again, largely about the object/subject division. The woman at the top of a diving board is both performance and performer. This was one of the last poems that was written for the book, and I do feel like the language becomes cleaner and meaner at this point, so I’m not as much sure that it’s the subject matter that changes the language or just happenstance. But I suppose if we look more at language itself as performance, at this point in the book, the concept of voice, becomes more layered and even muddy, even while the poems become more spare at times.